R-Linux automatically detects disks from LVMs and creates their virtual volumes automatically. At the same time, R-Linux gives access to the components of the virtual LVM volumes (hard drives and images). 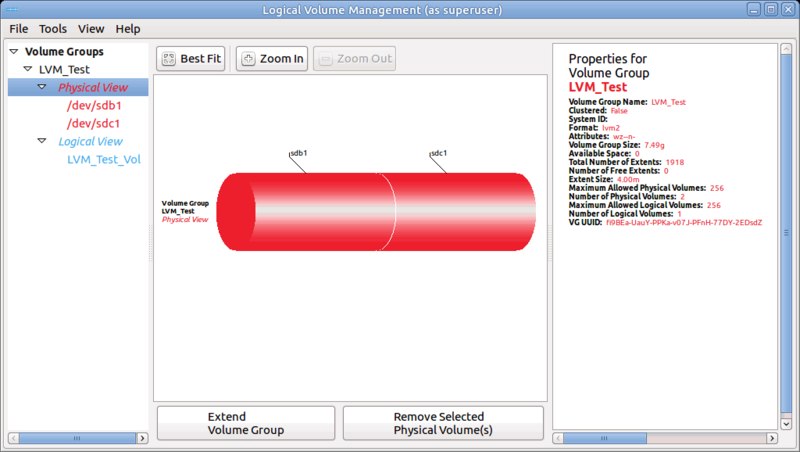 When an automatically created LVM volume is selected, R-Linux highlights its components. It also highlights the LVM volume that Linux may itself create from the same components. R-Linux shows broken virtual LVM volumes in pink.